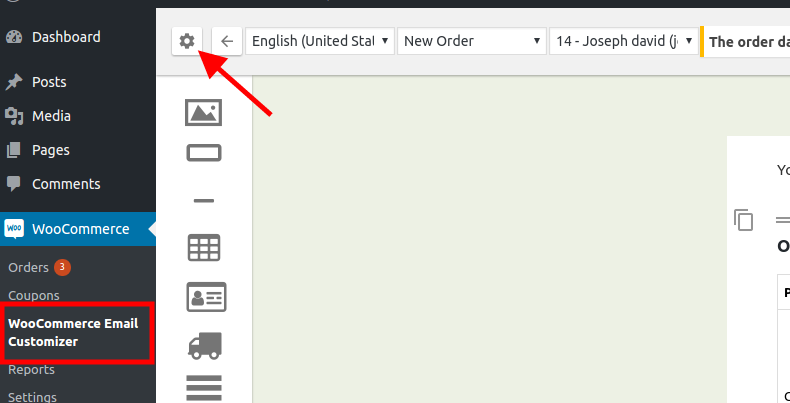 You can also manage the email templates from the settings option of our Email Customizer plugin. You can manage the email templates based on the different languages email templates as well by disabling the email templates of few language if you have a multilingual site. Let us see how to enable / Disable Email templates. Go to Email Customizer -> Settings. You can see, Enable or Disable templates. If you have multiple languages you will get, enable/disable option for each languages. You can also disable a separate email template like for example, you do not want the customized email for Completed email template alone, then you can set "No" to that email template which will disable the customized email. 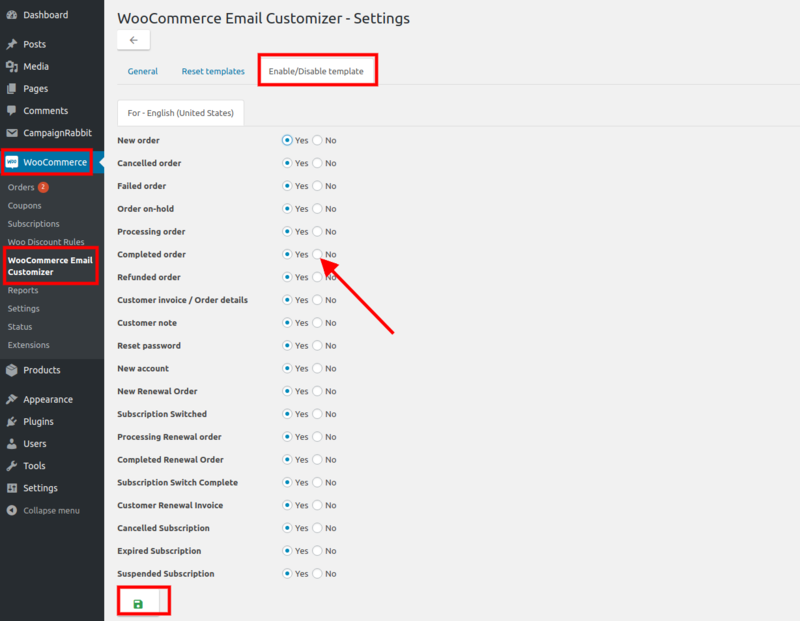 When you disable the customization, it would send the default email settings as per woocommerce email templates.